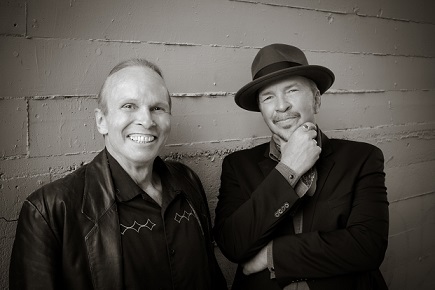 It has been nearly thirty years since Dave Alvin quit the Blasters and these two brothers made a studio album together. During this time older brother Phil continued to keep the Blasters band and brand alive while Dave has pursued a successful solo career. 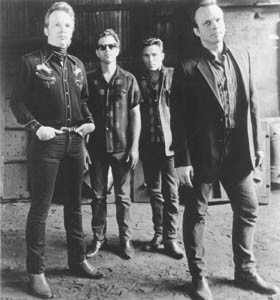 The brothers reunited back in the fall of 2001 in a series of informal and unannounced shows at the Blue Cafe’ in Long Beach, California. Those dates served as a dress rehearsal for their Blasters Live: Going Home CD and companion DVD recorded in Santa Ana, California, in December of that year and released in 2004. An occasional Dave and Phil reunion would continue to take place now and again. 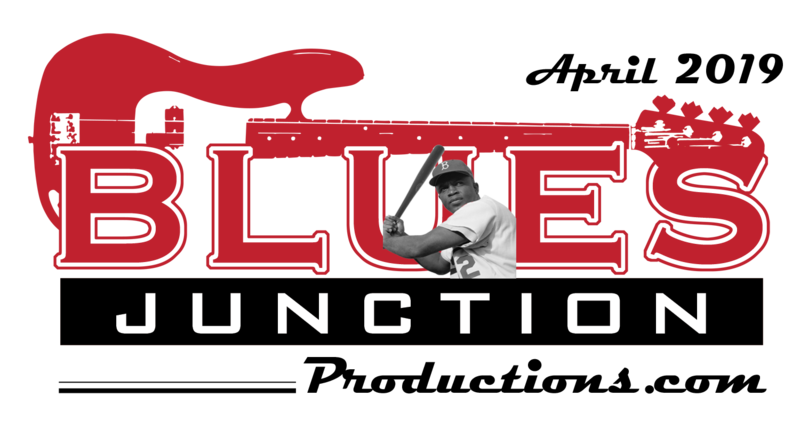 These shows were billed as The Original Blasters. Two of those shows were headlining slots at the 2004 Long Beach Blues Festival and the 2011 Doheny Blues Festival. The two brothers recorded the autobiographical, Dave penned number, What’s Up With Your Brother?, which appeared on his 2011 album entitled Eleven Eleven. In 2012, Phil, along with original Blasters and fellow Saint Pius X High School alums, bassist Johnny Bazz and drummer Phil Bateman with guitarist Keith Wyatt made an outstanding “Daveless” Blasters’ album, Fun On a Saturday Night. While on tour with the band in Spain to promote that album, Phil took ill and nearly lost his life. It seemed like as good a time as any for the famously contentious brothers to find common ground and renew their unique musical partnership. The obvious place for them to find that familiar musical terrain would be the blues and the music of Big Bill Broonzy. Common Ground is the first time that they’ve done a joint project under their own names. It is also the first time that they take on an album’s worth of material written exclusively by someone else. This album is a wonderful reminder as to just how much the Alvin Brothers complement one another. Phil, who has spent a lifetime singing the songs written by his younger brother, does the same with the lexicon of Big Bill Broonzy. His robust, fiery and impassioned delivery stands in sharp contrast to the detached, cool and almost matter of fact singing style that is more suited to Dave’s instrument. Phil, as you might suspect, does the lion’s share of the vocal duties on Common Ground. He is the lone singer on six of the album’s twelve tracks. Dave handles those chores on two numbers. There is one instrumental that closes out the album and the remaining four tunes feature both brothers trading lyrics and doing an occasional harmony. It may be important to remind listeners that they are still Phil and Dave and not Phil and Don. It isn’t about sweet perfection and nobody’s worried about waking up little Susie anyway. This is the blues and some unburnished harmonizing doesn’t take away from the beauty of this material and, in fact, brings some rough hewned, nuanced poignancy to the words of Big Bill. Phil plays acoustic guitar throughout the proceedings and harmonica on a few tunes. Dave handles the lead guitar duties switching between acoustic, National Steel and electric guitars. Bassists Bob Glaub and Brad Fordham along with drummers Don Heffington and Lisa Pankratz back the brothers on various tracks. Former Blaster Gene Taylor plays piano on six numbers. The songs of Big Bill Broonzy are the perfect showcase for the famously eclectic brothers as his music is so diverse. Their affection and reverence for this material is evident in that that they don’t make the slightest attempt to copy it. Why bother? They imbue each number with their personal interpretation, informed with their own individual and collective musical sensibilities. Big Bill Broonzy began performing and recording in the late twenties and continued entertaining audiences around the world right up until the effects of throat cancer put an end to his career. He died in August of 1958 at the age of 65. He was one of those rare blues artists who found both commercial and artistic success in his own lifetime. Big Bill is now a smash hit in the second decade of the new millennium. This is the second full length album of Broonzy tunes to come out recently. Billy Boy Arnold put out “...sings Big Bill Broonzy” on Electro-Fi Records in 2012. Only two songs are common to both albums. Broonzy’s blues standard Key to the Highway and Just a Dream made both “Big Bill” albums. Neither album’s presentation of these songs sound a whole lot like the 1941 Okeh or the 1939 Vocalian records’ releases respectively. The Alvin brothers chose material from various parts of Broonzy’s career and demonstrate that this music is truly a timeless treasure. 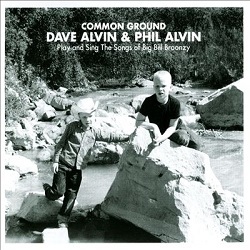 Common Ground has made me an even bigger fan of Big Bill Broonzy and of the Alvin’s music. I really didn’t think either one of those things was possible. Thanks to this musical reunion and the common ground they share in the blues, the brothers Alvin achieve that rarest of musical accomplishments. They take songs from this tradition laden genre and come up with something personal, fresh, new and exciting while maintaining the essence of the original music itself. They were one of the vanguards of that roots and blues music revival of the 1980’s. Wouldn’t it be something if after all these years they did it again?